comfortable ride while also increasing spring rates to account for lowering. Swift does this with a patented material H5S.TW which decreases the overall weight of the spring by reducing the number of windings. You can read more and see some spring comparisons here We feel these are the best spring out there and use their coilover springs exclusively on our track setup custom coilovers. Designed to lower the vehicle within its usable stroke meaning you will not bottom out. Reduces body roll - Improves high speed stability - Increases cornering performance. 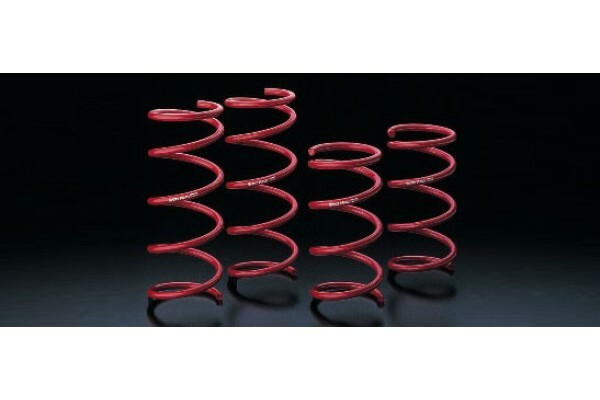 Requires removal and installation of springs onto factory shocks. Requires removal of trunk liner for access to rear shocks approx 1 hr. Installation time 4-6hrs depending on skill and equipment.